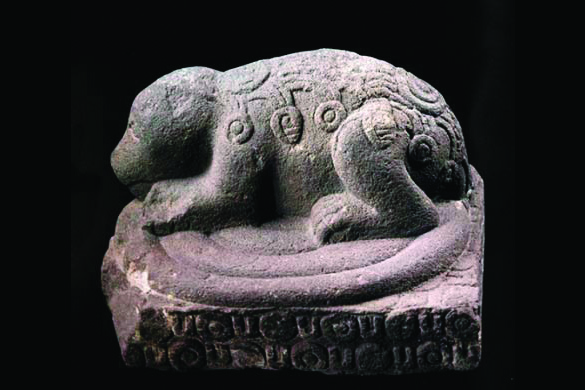 This is a statue of an Ahuizotl, an aztec water monster, taken from the website of the Museo Nacional de Anthropologia, in Mexico City, Mexico [Link Here]. The design on the creature's back is not meant as a representation of the creature's pelt; rather it's the Aztec glyph that represents water, showing the creature's association to the element. This was presumably sculpted sometime in the 15th or 16th Century, as this is when this particular monster was in its prime for popularity.